My name is Amanda Prince, and I am so happy you’re here! 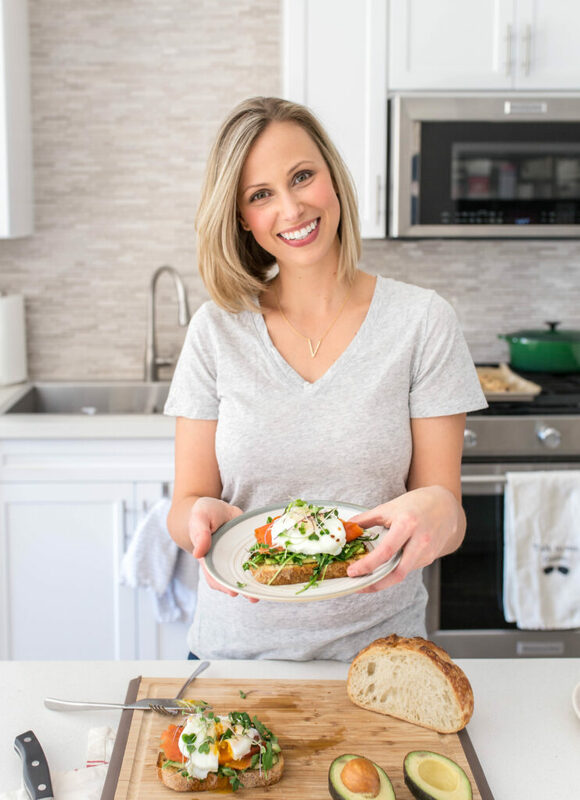 Food has always been a huge passion of mine, and I love sharing healthy dishes and treats that are accessible and achievable for even the most novice of home cooks. You don’t need a ton of special tools (even though I have a major weakness for kitchen gizmos and gadgets! ), you just need to roll up your sleeves and give it a go! It ultimately comes down to the quality of ingredients, having fun, and of course, sharing your creations with the ones you love. Is your dish always going to come exactly how you wanted? That’s a big fat NOPE! But don’t let that stop you. Just keep cooking! Who taught you to cook and bake? Definitely my mom, Nancy. She was always in the kitchen cooking and baking growing up, so I would just watch her. She still makes the most incredible meals for our family, so it is really fun to cook together now. My mom is a German immigrant and grew up watching my Oma (grandma) cook and bake on their farm in Illinois. My Oma is a wizard in the kitchen, so I like to think it was a trickle-down effect from her. How did you come up with the name A Thousand Crumbs? I was trying to think of fun and creative names for a food blog, and I was bouncing ideas off of anyone who would listen. In search of inspiration, I decided to Google famous quotes about food. Of course, all sorts of wonderful one-liners came up, like Julia Child, “If you’re afraid of butter, use cream.” Or, “One cannot think well, love well, sleep well, if one has not dined well,” by Virginia Wolf. But ultimately, one quote stuck out above all others, and unfortunately, we don’t even know who said it! “A well-made loaf of French bread will leave a thousand crumbs strewn across a table.” There is something so special about breaking bread, not just because I love a good loaf of homemade sourdough, but because it is communal, and the crumbs left behind tell a story of a moment shared. That is the feeling I wanted to capture in the blog, and A Thousand Crumbs is the perfect name. When you aren’t working on the blog, what are you doing? Well, believe it or not, this is not my fulltime job! I have an amazing job that keeps me very busy in the film and television industry. So when I seemingly fall off the planet, don’t post for a while, or I am not super active on social media, that’s why! When I am not working, or cooking, you can usually find me with my friends, running, hiking (yes, there is hiking in LA! ), reading, or trying new restaurants. Mexican, for sure! I will put guacamole and salsa on just about anything. I really love Dr. Andrew Weil’s philosophy on health and food, so any of his cookbooks are great, but I also love dessert! I think the Magnolia Bakery books by Allysa Torey really speak to my love of something sweet! I collect coffee mugs! I love coffee and make pour over every day. Coffee in the morning is my time to enjoy the stillness and quiet, and prep for the day ahead. I started collecting coffee mugs from random times in my life, so I have everything from USC mugs from college, to mugs from little coffee shops on my travels, mugs from friends, FRIENDS mugs…it’s quite the collection! Each one is special and I love drinking out of them! Say hello! Or have a question? Use the contact form below to get in touch with me. Or, send me an email directly at amanda@athousandcrumbs.com.